One capsule contains 4,000 IU (100 mcg) of vitamin D3 (cholecalciferol) and is easy to swallow due to its small size. 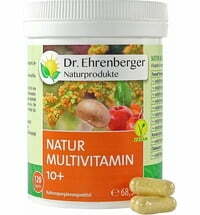 Pregnant or nursing women and children should not take this supplement without consulting a doctor or pharmacist. Not meant for daily use. Quality supplement, so needed for us Northern Irish people in particular!